Furnas volcano lies at the eastern end of Sao Miguel Island, immediately west of the older Nordeste shield volcano and its Povoaçao caldera. 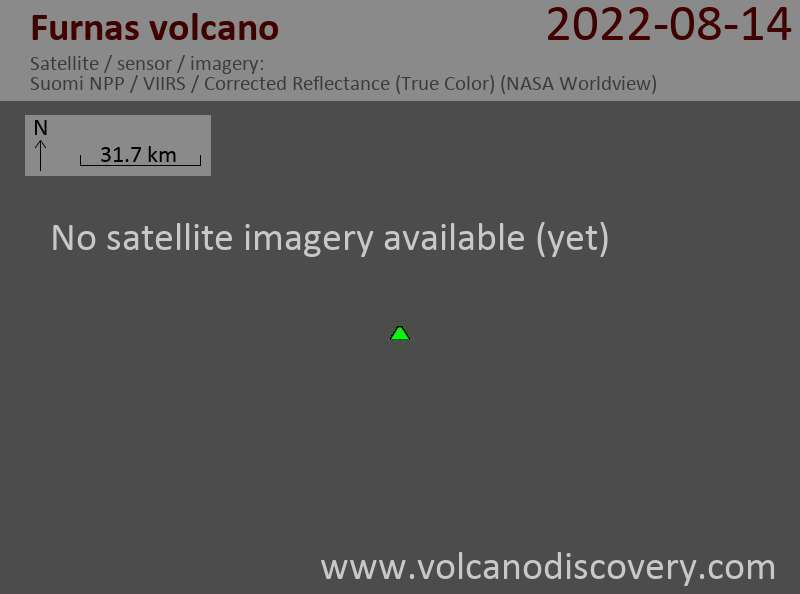 The Volcano Observatory (Observatório Vulcanológico e Sismológico da Univ. dos Açores, CIVISA) recorded dozens of mostly small quakes at shallow depths between 1-15 km in an area about 6-7 km west of Furnas volcano, half way between the caldera lakes of Lagunas Fogo and do Congro. The largest were 6 earthquakes of magnitudes 3.0-3.6, some of which were felt by local inhabitants. At the moment, the activity is still continuing, but has decreased significantly. It is unclear whether the earthquakes are volcanic in origin or not. If so, they could have been caused by a small magma intrusion at the lower crust and indicate an early sign of possible re-awakening of the volcanic system.